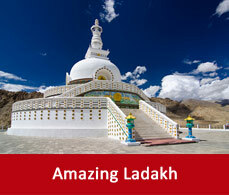 Mostly Ladakh is known as an all year round tourist destination. It gets dressed in a different beauty in different time of the year. Summer remains there from June till September. 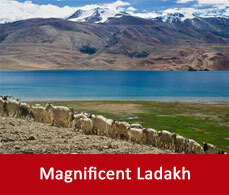 It is the best season to visit Ladakh. Temperatures remain cool during that time and records between 30 to 32°C. Day temperature records upto 25°C. This the best time to have fun there and to enjoy its beauty. More profoundly it becomes a photographer’s paradise. Monsoon does not have any particular time or any specified period in Ladakh. Sometime it spells in pieces. Winter hails there from October till May. 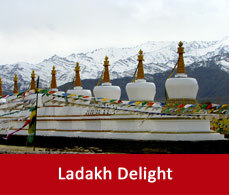 During this time Ladakh gets frozen. Ladakh weather remains chilled then. Snowfalls and frost bites are quite common then. Temperature is always below 0°C. 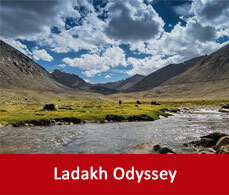 So if you have any plan of visiting Ladakh during this time then skip this plan.